Lynne Martinez’s strong passion for activism is one that drives her involvement in Lansing’s Eastside neighborhood, and has shaped the course of her life. 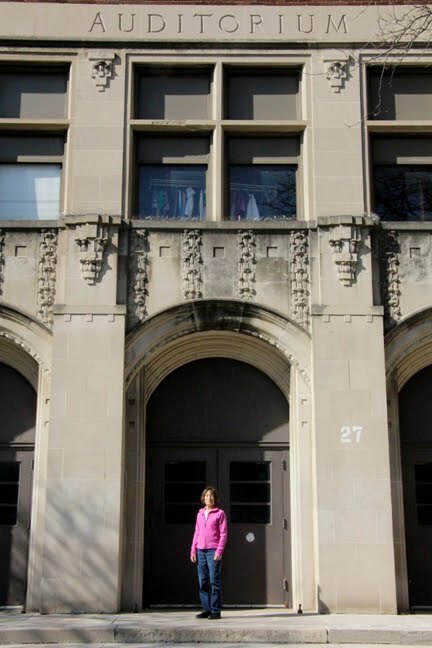 She was elected as a State Representative in 1994 and has worked as an Ingham County Commissioner as well. But the positions she has held is far from what defines her as a person. She made sure to emphasize while speaking with me, that she is fully committed to civil rights, equality, and civil liberty, which has drawn her toward the Eastside neighborhood and led her to play an active role in the issue of food justice. Food deserts, or areas where a grocery store is over a mile away, are a big problem in today’s society, and leave many people without access to fresh and healthy foods. Lynne feels strongly that something needs to be done about the situation and is on a community board focused on food justice issues. Another great passion in her life is intertwined with food justice: gardening. When she started working as a landscape designer and contractor in the 1980s, her landscaping career exposed her to the beauty of nature and she now has a backyard garden that she grows every year. She loves growing vegetables and herbs, especially basil, which reflects her Italian heritage. Gardening is something she holds dear and she loves sharing her fresh food with neighbors, who are always eager to have some of what she’s grown. Because of the limited size of her backyard, and the shade of black walnut trees that prevent many things from growing there, Lynne decided to start a community garden, where she could grow even more plants and help involve the community. She is also currently involved in another important aspect of the community: education. 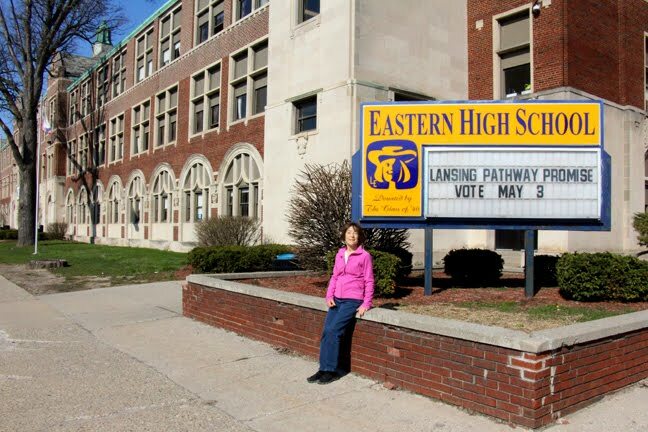 She told me that Eastern High School was recently bought by Sparrow Hospital, meaning the school could possibly be moving away from the Eastside. She emphasized how the community needs to make sure a school is still in the area, and that education is the foundation of community and a great neighborhood. She is also currently active in a group working to preserve an area in the old school, because the beauty of the building and its rich history should live on, even though the school is moving away. Lynne has such an extraordinary mixture of qualities that make her an incredibly compelling person and storyteller. She has the strength of a elected representative and is not afraid to be authoritative, but it is her compassion that truly shines through. She finds herself at home in her community because of the connections she can make with people. 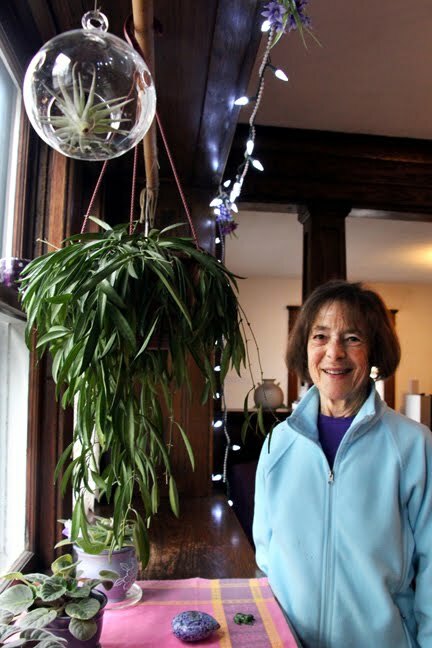 "Lansing has been a wonderful home for nearly 40 years,” she said. “I raised two sons here who attended Lansing Schools and MSU and graduated into successful careers."